One of the most important things to players at online casinos is their security, and this is perfectly understandable. What many people don’t realise is this: the online casino industry is a heavily regulated one, and therefore playing at 99% of sites is completely safe. There are a few things that you can do in order to fully protect yourself though, and therefore ensure that your money and personal details are never put in any risk. Believe it or not, but the online casino industry is heavily regulated. Perhaps the number one thing that you should do when looking for a safe casino to play at is to check if they are regulated. Every online casino has to be based somewhere, and its country of residence is generally the country that oversees its activities. Don’t be surprised to find that many regulating bodies are from small countries or territories – these are chosen due to their tax benefits, however still do a good job when it comes to monitoring the casinos. It should be mentioned that residents of the UK should only ever look for one regulatory body though – the UK Gambling Commission. This is because all online casinos, regardless of where they are based, must be overseen by them if they want to accept UK players. The Gambling Commission is the true benchmark when it comes to online casino monitoring, so residents of other countries can also use their stamp as a mark of approval. Always look for eCOGRA-certified casino rooms. It’s not only governmental bodies that monitor online casinos, as other external agencies are also used by the casinos, in order to prove that their games are fair and honest. The best known of these is eCOGRA, which looks at many things, including how good the Random Number Generators (RNGs) at a site are, and whether the RTPs are accurately represented by the casino. Technical Systems Testing (TST) is a similar company, and also used by many major online casinos for the same purposes. Yes! partycasino is a 100% safe site! It should also be mentioned that any site monitored by eCOGRA will automatically have a completely secure connection, which will mean that your details are kept completely safe. If playing at a site not monitored by eCOGRA, ensure that there is a padlock next to the site’s URL, as this will show you that you’re protected. If you don’t see the padlock or an eCOGRA logo, do not enter any personal details at all and head to a different online casino. You should never input any personal details when connected to an unsecured network. This is because your details can then easily be stolen by anyone with a little bit of technical knowledge. It’s a problem that’s more common than you might think, and can lead to big problems down the road. Add and withdraw funds when connected to your own Wi-Fi network, or while in front of your desktop. These funds will still be available while out and about using your mobile device. 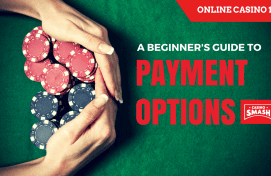 It’s not just the actual online casinos that you want to be careful with – you should also use your chosen online banking method carefully as well. 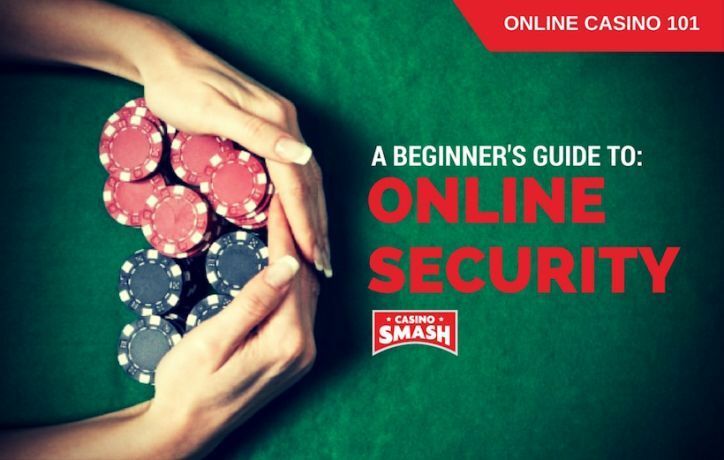 All of the major online banking methods accepted at online casinos, such as credit/debit card, Neteller and Skrill, have invested heavily in security features but, like online casinos, you should still never use them when on an unsecured network. If you are using a computer that doesn’t belong to you, make sure you don’t accidentally leave yourself logged in – it’s a more common mistake than you might think! If you are really concerned about the security of the different payment methods, there is a solution for you though – Paysafecard. This will allow you to make deposits at online casinos without ever having to enter any bank details anywhere online. Simply buy a voucher, load it into your Paysafecard account, and then start spending. Ukash also used to offer this service, however they are no longer in business, after being bought by Paysafecard. As already mentioned, the vast majority of online casinos are completely legitimate. As with every industry though, there is a small minority that does not abide by the accepted rules and practices. These are generally pretty easy to spot, and the biggest tell-tale sign is the fact that these sites are usually poorly designed and generally uncared for. This is simply due to the fact that they don’t care about their players, so why should they care about the way their site looks? You’ll also find that these online casinos don’t have many players at all, as most have become wise to their poor service and underhand practices. If you want to discover the casinos to avoid, simply take a look at our list of rogue casinos – we advise you to steer well clear of them and to play at one of our recommended casinos instead. We constantly monitor the casino world and will add new casinos to our blacklist whenever we deem it necessary. While everything else mentioned above is incredibly important, there is one thing that you can use above all else to ensure you stay safe: your own common sense. 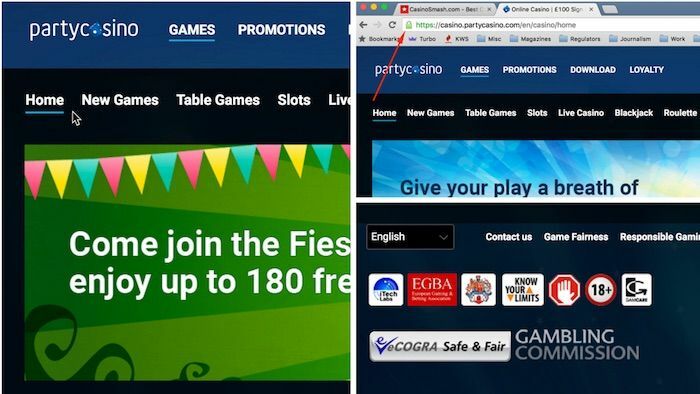 If you think that there is something fishy about an online casino, don’t play there. There are many other casinos for you to choose from, including a number that we’ve already tried and tested, and can guarantee are completely safe for players to use. So, why notcheck out the reviews of the best online casinos right now and then start playing at one of them?